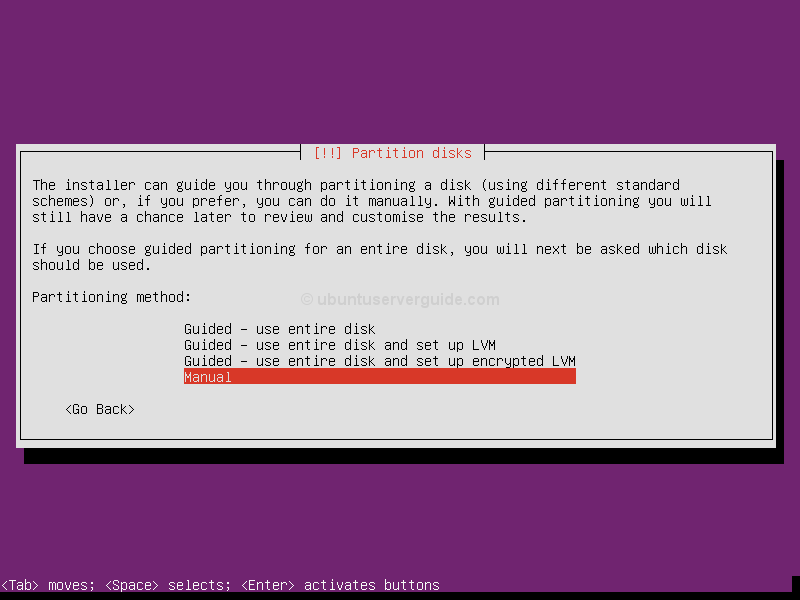 This guide will explain how to partitioning a harddrive manually in ubuntu server edition (ubuntu server 12.04/12.10/13.04). 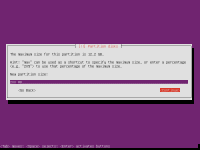 By default installation of Ubuntu Server edition the installer creates just two partitions; the first for (/ ) the root partition, and the second for Swap partition . 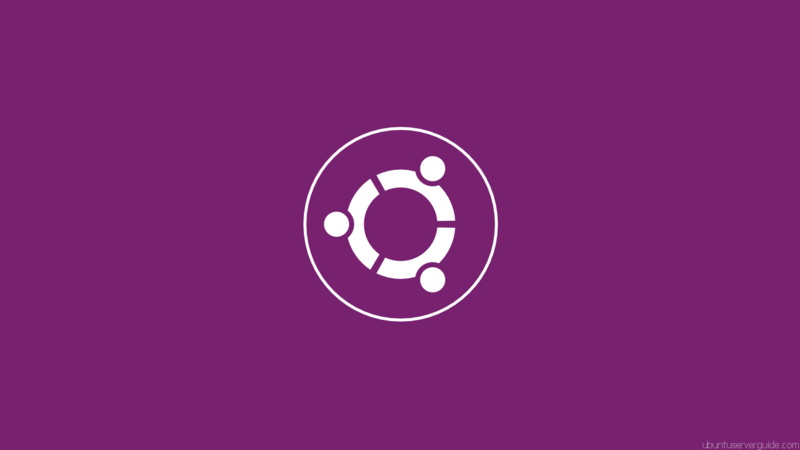 If you want creating partitions for installing Ubuntu Server edition, I recommend to create the following four partitions on your ubuntu server hardrive. root partition (/). The bulk of the programs used for running the system will be installed here. boot partition (/boot). This is where programs critical for booting the system will reside. Step 1: Choose the manual partitioning method at the bottom. 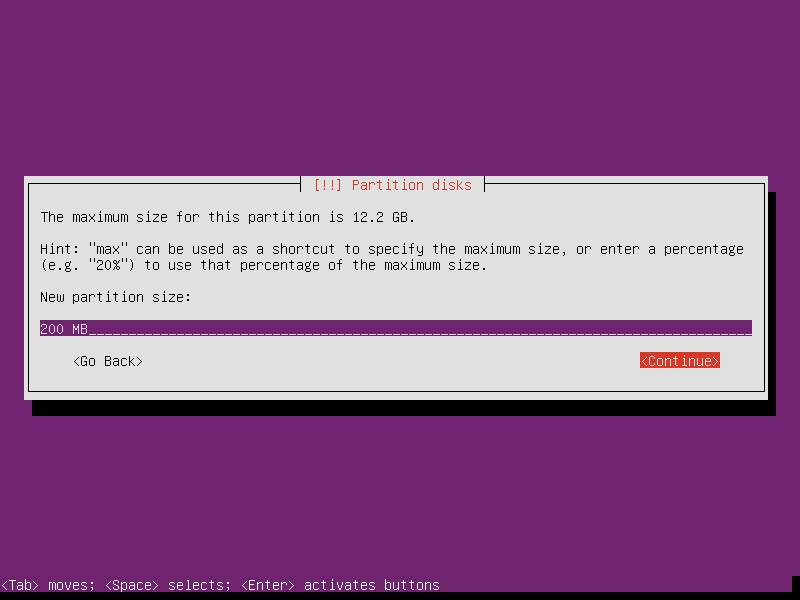 Step 3: If you have selected an hardisk to be partitioned for Ubuntu server. Answer [Yes] to create new empty partition table to the hard disk. Step 4: In this step we’ll create root partition (/), Select a free space to create new partition. Related Post "Manual Disk Partitioning Guide for Ubuntu Server Edition"
For a server I would at least have expected that a separate /var would have been created. This is the default place where all your logs are going to be collected, and it is always nice that your / isn’t impacted if /var is filling up to the brim (due to heavy logging of certain services, or a long retention period of those logs). On the other hand, a real server has hardly any regular user accounts so a separate /home of 10G (especially in a virtual server with a 32GB HD) is a space waster. why not, just do this with a guided partition? 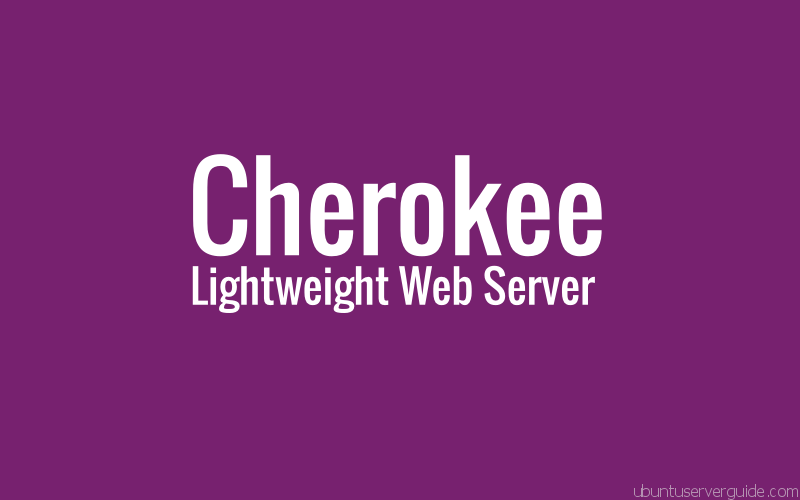 Doesn’t The LVM creates these auto, on a single disk? Nice tutorial, quick and simple. Exactly what I needed.